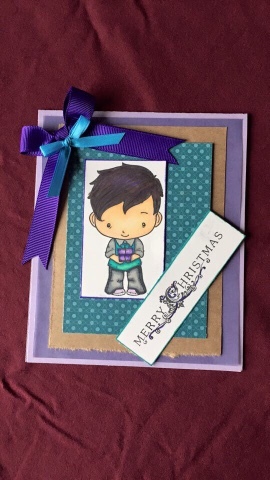 So my wonderful Pal (Lena Nunn) challenged me to make a Christmas card that used purple as the main color! After scratching my head a little, I went for it. This image is from The Greeting Farm and it from "Owen, Anya surprise." Hope you like it!